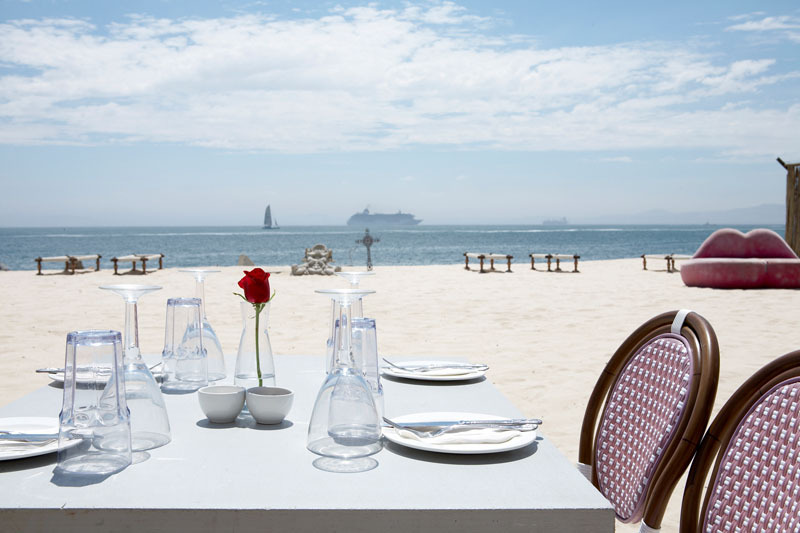 Set within a restored warehouse, paying tribute to our eco policy, we are positioned on a private beach in Granger Bay. Grand Café & Beach is part of Cape Town’s V&A Waterfront and faces Table Bay with the Green Point Stadium, Signal Hill and Table Mountain forming a unique backdrop. Inside: Café seating with Chill Lounge, 15m long white bar, big screen & Grand Gallery Shop. Outside: Private Beach, 46m wooden deck for alfresco dining, two beach bars & VIP Beach area (adults only). Limited private parking as well as ample public off-street and street parking.